New Air Force teams tasked with providing cyber defense for a mission participated in an exercise for the first time, the service said. Air Force leaders hope the new role will be ingrained throughout the service in the future. The Air Force’s cyber squadron initiative aims to protect the Air Force’s core missions by establishing and assigning personnel and cyber teams to wings and missions called mission defense teams. These teams will be an organic capability to Air Force wings within the squadron structure serving as the “beat cops,” so to speak, understanding the critical cyber terrain and networks of the wings and missions they’re assigned to even deploying with these units in some cases. The Air Force is rolling out the next phase of its initiative that aims to protect the critical Air Force-specific missions that ensure cyber threats are thwarted. These teams are also separate from 24th Air Force/Air Forces Cyber, the Air Force’s service component of U.S. Cyber Command. 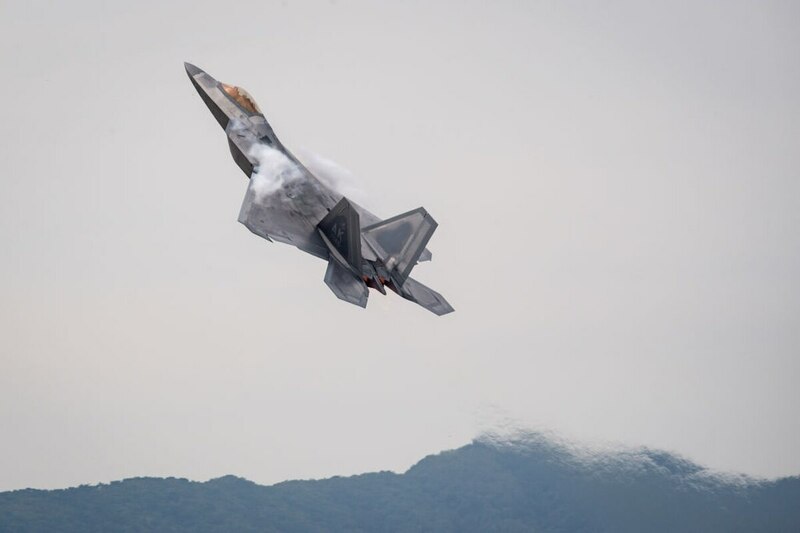 The recent exercise, held from June 11-15 at Tyndall Air Force Base, sought to test the 325th Fighter Wing’s capability to fly aircraft in a deployed environment, an Air Force release said. The 325th Communications Squadron’s MDTs, the first operational unit of its kind in Air Combat Command, contributed by prototyping the way forward by assessing cyber risks associated with the aircraft in the exercise. Air Combat Command to take over cyber operations in the summer of 2018. Officials said this is a new approach to protecting weapon systems in a dynamic security environment in which potentially unknown cyber vulnerabilities could cripple operations. The exercise aimed to help the Air Force develop a process to send a report to a team of cyber analysts to determine if a software glitch inside an aircraft is an isolated failure or if other aircraft across the world are experiencing the same issue.